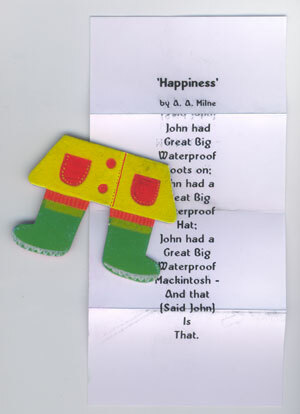 Description: Poem, part of a child's toy, a memory. Comments/Origin: I look at the ground as I walk along. I pick up the things that people have dropped or left behind. Little bits of our lives. This is a part of a child's game. Childhood. My mother and grandmother used to read the poem to my sisters and me.